Discover the Caribbean aboard Nieuw Statendam as she homeports from Fort Lauderdale between November and April. With week long getaways, nine to 14 day escapes and longer explorations up to 17 nights, there is a Caribbean adventure aboard Nieuw Statendam for everyone. Departing from Rome and Amsterdam, Nieuw Statendam spends the European summer exploring medieval cities, quaint towns and icy fjords and vistas of the Mediterranean and Northern Europe. 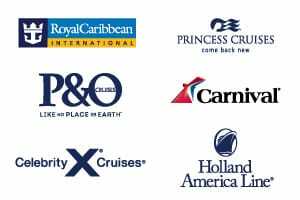 The great thing about the Holland America brand and in particular Nieuw Statendam’ Mediterranean and Northern European itineraries is that they have such a large number of longer voyages over 19 nights allowing you to truly immerse yourself in a destination. These longer itineraries are some of Holland America’s most popular, so secure your cabin early! Can’t take that much time off? They have also broken down these long voyages into smaller segments. 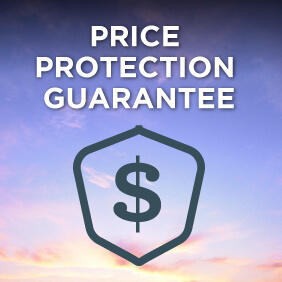 View all Nieuw Statendam cruises, view a selection of Holland America cruise deals, or view more options for Holland America cruises. Nieuw Statendam carries forward the nautical heritage, signature service and classic style for which Holland America is known – while raising the bar for 21st-century elegance. 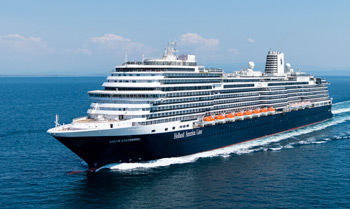 Sister ship to Koningsdam, she’s the second of Holland America’s Pinnacle-class ships. Guests onboard Nieuw Statendam will love her interiors, created by brilliant hospitality designer Adam D. Tihany and legendary ship architect Bjørn Storbraaten. They feature all the hallmarks of Pinnacle-class design: grand light-filled spaces, visual drama and sumptuous interiors inspired by the fluid curves of musical instruments. A beautifully appointed mid-sized ship with elegant lines, she proudly reflects more than 140 years of Dutch seafaring tradition. With sophisticated décor and amenities, staterooms aboard Nieuw Statendam provide a welcoming haven at the end of an eventful day. Designed with input from our guests, they feature thoughtful modern touches such as bedside USB ports, frameless shower doors and customized wood cabinets. Like her sister ship, Nieuw Statendam also offers exclusive Family Ocean-view Staterooms that can accommodate up to five people, and specially designed single staterooms for solo travellers. Dazzling entertainment options abound on board Nieuw Statendam. The new Lincoln Center Stage and Billboard Onboard venues join the already popular B.B. King’s Blues Club for a complete new “Music Walk” experience. Images shown are from sister ship, Koningsdam, and are representative of entertainment available.